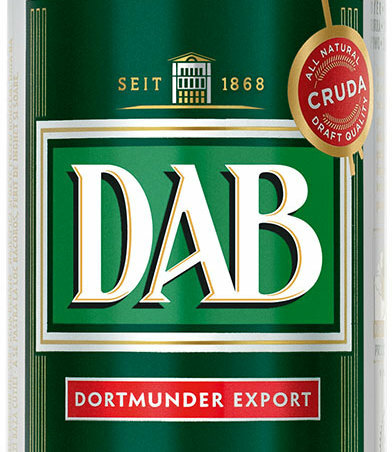 DAB, which stands for Dortmunder Actien-Brauerei, is a German brewery and a beer brand owned by the Radeberger group. Sold around Europe, it was recently redesigned by an Italian agency, Robilant Associati. The redesign carefully preserves the equity in the previous label, but opens it up gently. The CW is the fifth-largest English language television network in the United States, formed in 2006 when The WB and UPN merged. It skews more to younger viewers than the four larger networks, with series including 90210, Gossip Girl and America's Next Top Model. 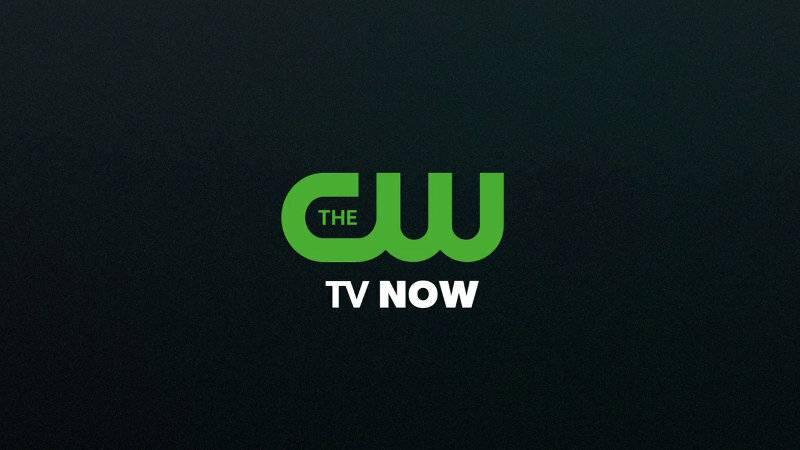 For the start of the autumn season, the network has a new look and a new slogan, "TV Now", as part of a strategy to further turn The CW into a multi-platform, multi-screen brand. It runs through the new look as both a promise and a call to action. 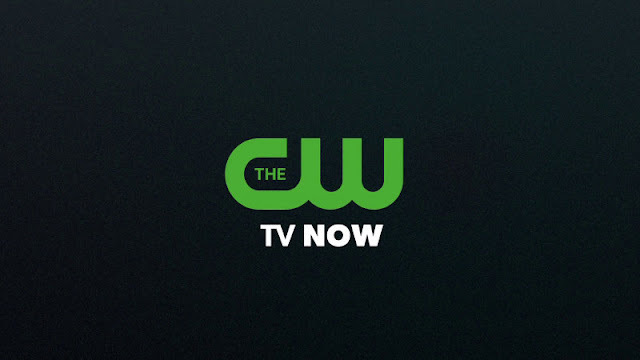 Los Angeles motion design studio Troika have been working with The CW since its launch and designed the original logo and on-air graphics package. They are also behind this latest redesign. The new look replaces the "TV To Talk About" branding that was introduced in 2009, also created by Troika. The Dallas Convention & Visitors Bureau unveiled a new logo on Friday. This clear and modern wordmark with a star included in the D will be used to market one of the major cities in the Lone Star State to tourists. The logo comes with a new tagline, "Big Things Happen Here". The new logo replaces a brush wordmark and the tagline "Live Large. Think Big. ", introduced in 2004. Local press credits local brand consultancy TracyLocke as having a leading role in the development of the new brand and message. Back in September, this blog reported on the substantial relaunch of two national TV channels in France, now called D8 and D17 and owned by Canal+. The agencies behind that redesign are Flab Prod in Paris and Troika Design Group in Los Angeles. Neville Brody's Research Studios were also involved. Troika has posted two extensive case studies of their work, part of which are is republished below. The Norwegian Oil and Gas Association (Norsk Olje & Gass in Norwegian) is the new name for what used be called the Norwegian Oil Industry Association (Oljeindustriens Landsforening), an employers' organisation for Norway's important oil and gas industry. The namechange took place on September 17. Oslo-based Grid Design has developed both the new name and the visual identity, which communicates Norway's position as a producer of both oil and gas. Nicox is a French pharmaceutical company, primarily working with medical explitation of nitric oxide, hence the name. This week, on October 22, it unveiled a new viusal identity as it also announced a new product called AdenoPlus, a test for acute conjunctivitis. The new logo "represents [Nicox's] new positioning as an international late-stage development and commercial ophthalmic group". Gjensidige is a major Norwegian insurance company, tracing its roots back two centuries to rural fire insurers, the first of which was founded in 1816. In addition to its home market, it now also has activities in Denmark, Sweden and the Baltic states. Yesterday, October 24, Gjensidige previewed a new corporate identity, created by Dinamo Design in Oslo. Gjensidige has long used an image of a watchman as company symbol, first introduced in 1932 as an advertisement figure. He was last redesigned in 2005, when the company changed its name from Gjensidige NOR, having merged its banking subsidiary into DnB NOR a few years earlier. In the new version he has been made into a silhouette, enclosed by a circle with two colours divided by his walking stick. A new communicative style has been developed, focused on the needs of costumers rather than products. It is warm and friendly, with a set of colourful figures and icons and a "handwritten" typeface. Landteknikk is a Norwegian company that provides equipment and technical solutions to the food industry. Currently celebrating its 75th anniversary, it changed its name to Skala at the beginning of this month, with a new visual identity and strategy developed by Grid Design in Oslo. Skala is Norwegian for "scale", and a company brochure explains that the name should be associated with expressions derived from it, such as "scalability" and "economies of scale". 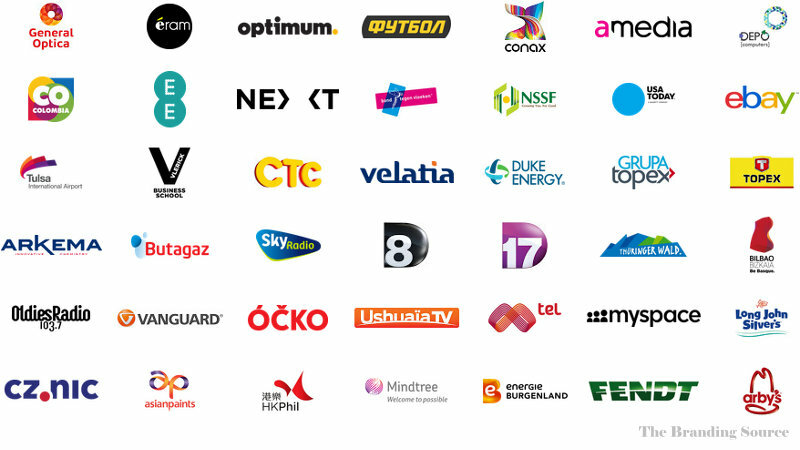 The rebrand brings together a number of subsidiaries under the Skala brand that had previously been independently named. 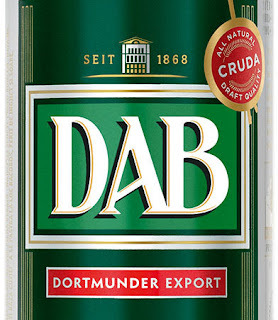 Meica is a German food manufacturer founded in 1908, primarily known for a broad range of canned sausages with names like Deutschländer, MiniWini, Trueman's and Curry King. Having used the same logo for decades, it introduced a refreshed version at some point this year. The edges in both the wordmark and its background plate have been softened, and a bevel effect has been added. The new look is introduced gradually along with small refreshes of jar labels. The Polish Council of Shopping Centres (or Polska Rada Centrów Handlowych, PRCH, in Polish) is an association of retail real estate owners in Poland. Last week, it launched a new logo, created by Diagram Brand Design. The new mark is "filled with new symbolism", representing both an architectural plan and the shopping center's role as a new place for trade in a city. Earlier this year you could read about Vier, one of the larger commercial channels in Belgium, that got a new minimalist logo (see more at Creative Review). It has a sister channel called Vijf (meaning "Five") that targets women. To kick of the autumn season, it launched a new look that goes in a style similar to that of Vier. The new look was unveiled in August and launched on September 3 with a slate of the programmes. Note: The colours in the logo seen above may not be entirely correct. France Initiative is a national network of organisations that offer unsecured loans to businesses, consisting of 238 member "platforms" around France. On October 1, it decided to flip its name to become Initiative France and adopt a new brand architecture for the organisation and its members, designed by Paris agency Fondamenti. The new logo system is made up a blue trapezium with the word "Initiative" that is used in the logos of all members, and a rectangle with the name of the local organisation in a colour chosen locally. This serves to straighten up the communicatively messy situation where each local organisation had its own logo. Alberflex is one of the larger manufacturers of office furniture in Brazil. In September, it unveiled a new corporate identity, created by Futurebrand. It was launched with a campaign created by ad agency Verbo Comunicação. The new look combines rounded typography with green-blue A, that represents the "comfort, modernity and creativity" of its products. Wexler is a Russian company that manufactures tablet computers and e-book readers. This month, it launched a new visual identity, created by Moscow agency Depot WPF. The new visual identity sets out to appeal to a younger generation with a solution that differs from its competitors. It is personal, and decidedly not technical. Depot WPF also developed the brand positioning and packaging. The Qatar National Broadband Network Company was established by the Qatari government to roll out broadband fibre to the emirate. Last week, on October 10, it launched a new corporate identity, created by Wolff Olins. Univision is by far the most-watched Hispanic television network in the United States. Having been known by its current name since the 80s, it has grown with the Hispanic community and is now well established as the fifth most watched network overall. Yesterday, October 17, it unveiled a new logo, intended to signify the transformation the network has gone through in its history. It was the result of a collaboration with Wolff Olins. The stylised U used by Univision up until now has been reshaped slightly and turned into a three-dimensional object, and the four separate slices that made up the symbol have been joined. The stated intention is for the symbol to resemble a heart. The out-going Univision logo was developed by Chermayeff & Geismar. It has been in use for about two decades (an official press release would have you believe that it was introduced in 1962, but that's nonsense). The new logo launches on January 1, 2013. Chivas Regal is a leading brand of Scotch whisky, currently owned by Pernod Richard. It recently introduced a refreshed corporate identity, created by SomeOne. To help market it worldwide, the brand has been given a symbol in the form of a "luckenbooth", a traditional Scottish love token, also incorporating the swords seen on the bottle label. A similar symbol also exists on the gate to Chivas' original distillery. A custom typeface called Chivas Priori has been designed by Jonathan Barnbrook, based on his Priori Sans. SomeOne also developed background patterns. The Gorky Park, or the "Central Park for Culture and Recreation named after Gorky" (Центральный парк культуры и отдыха имени Горького in Russian), is an amusement park in central Moscow, founded in 1928. On Monday, October 15, it unveiled a new visual identity, created by Art. Lebedev Studio. The new logo is set in a sans serif and has a bird embedded in the k in the word park. In other communication, the park is using Art. Lebedev Studio's own typeface ALS Direct. The studio has also created an extensive set of alternate letters containing charming icons, all related in some way to the park. Continuing in pure typographic style, the new communication is predominantly white and black, complemented with four bright colours for the four seasons. De Telefoongids BV is the company that publishes telephone directories in the Netherlands, formerly a part of the incumbent telco KPN. Yesterday, October 15, it shortened its name to the abbreviation DTG and adopted a new corporate identity developed by VBAT in Amsterdam. The new look was developed to feel familiar while also communicating new growth ambitions. 13TV is a national TV channel in Spain launched in 2010 that targets the entire family with programmes based on and compliant with the values of the Catholic church. In September, it launched a new look, created by Madrid-based Gulliver Studio. The cube logo used until now has been replaced by a plectrum shape, but its warm yellow colour is retained and complemented with purple. The colours and curved shapes creates a relaxed and welcoming on-air image. September is usually the time of the year when companies are the most active in unveiling new logos, and that was the case this year as well. Most of the major international brand identity networks were involved in at least one high profile rebrand unveiled this month, as were to many local firms. Enjoy! Macedonian Radio-Television is the state broadcaster of the Republic of Macedonia. Last month, on September 23, it launched a new corporate identity. The broadcaster's TV channels now all have new logos in the red and yellow colours of the Macedonian flag. Mirácoli is a German brand for pasta-based convenience meals and pasta sauces. It was owned by Kraft Foods until a few months ago when its was sold to Mars, as part of Kraft Foods' transition to become Mondelez. Around that time, Mirácoli also introduced a new look. The previous generic "flag" logo has been turned into a friendly arch. On packaging, this arch become part of a plate that contains the product. BioMed Realty Trust builds, own and operates real estate for the life sciences industry in the United States. Two months ago, on August 8, it unveiled a new visual identity, created by Siegel+Gale. The new logo contains a nice monogram in the form of the company's initials BMR, designed to resemble a helix. KORA is a government institute that does analysis and research for the public sector in Denmark. It was formed on July 1 this year by merging three agencies, AKF, DSI og KREVI. Having used a provisional visual identity for its first three months in existence, it recently adopted an more permanent visual identity, created by Danish design agency Mega Design. Mega Design's solution uses four squares that contain the letters that make up the agencies name. These can be arranged in many different ways, and these variations can also be linked together to form a pattern. Óčko is Czech television channel that is mostly dedicated to music. In September, a new look was presented that is due to launch this autumn, created by the production company Frame 100R who worked with motion designer Lukáš Veverka. The previous look was messy and inconsistent, with several graphics packages used for different segments. The new one is more unified and built around the red circle that is present in the logo in the form of the two o's. The circular form is of course easy to ascribe meaning to, in this case it is old recording mediums as well as current controls on multimedia players. 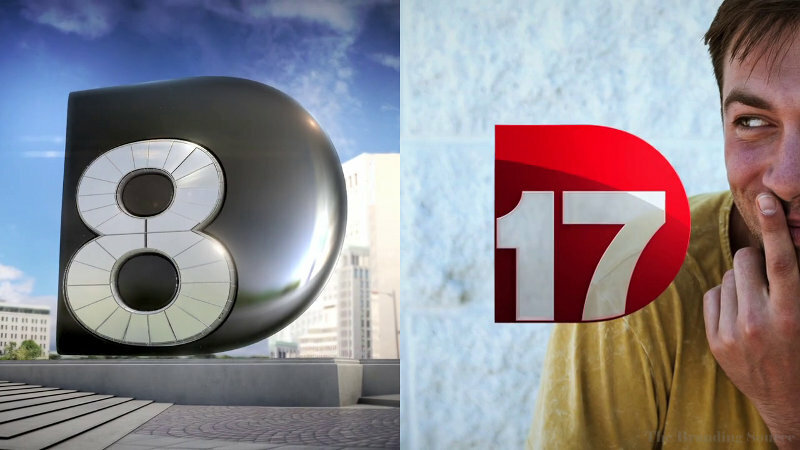 The circle appears in all on-air graphics in different innovative forms. Other graphics are relatively simple, but are using modern technology to be responsive and move with the music. TV1000 is a movie channel brand owned by Swedish media company MTG, originally launched in the Nordic countries in 1989, and later expanded to much of Eastern Europe, including Russia. The brand was abandoned in the Nordic countries earlier this year, but is still going strong in Eastern Europe. Earlier this month, three new TV1000-branded channels were launched in Russia and the other CIS states, and with that came a new logo. The previous TV1000 logo contained a sphere with a star. That is maintained in the new logos, but the star has been made more obvious (and frankly not as elegant). The typeface is Gotham with a 3D extrusion. The Russian music channel Muz-TV was relaunched in September as "Yu", a general youth channel: It was reported here back in August, but at the time there was little more than a low-resolution version of the logo available. Since then, it has been revealed that the on-air graphics were created by BDA Creative in London. Brand consultancy Komandor Brains & Brands handled strategy. October 1 saw the launch of RTL II, a new TV channel from RTL Klub, one of the major commercial broadcasters in Hungary. It targets the entire family with a general mix of entertainment programming. The logo for the new channel had been revealed several months ago and is made up of five squares, with two orange ones representing the number two. The Ural Bank for Reconstruction and Development (Уральский банк реконструкции и развития in Russian, abbreviated UBRR) is a Russian bank, founded in 1990 and head quartered in Yekaterinburg. This week, on October 1, it presented a new corporate identity, created by Russian brand agency Mildberry. The new logo features a ribbon forming the initials UB in Latin letters. It is brighter and friendlier than its predecessor, with a colour scale based on blue, red and the shades in between. Some readers may be familiar with MEC, an international media and communications agency that is owned by WPP. This week, on October 2, it launched a new corporate identity around the world. It was created for them by sister company Lambie-Nairn. The logo is an expression of MEC's aim to bold and different. Lebara is a Norwegian telecommunications company that provides affordable international telephony through pay-as-you cards in many European countries. These services specifically target ex-pats and are widely advertised in immigrant neighbourhoods around Europe. Yesterday, on October 3, Lebara changed its name to MyCall. October 1 saw what is probably this year's largest shake-up in the grocery brand market as Kraft Foods was split in two. The North American grocery business was spun off into Kraft Foods Group, Inc., while the worldwide snacking company changed its name to Mondelez International (you can read more about the Mondelez corporate identity here). A pleasant surprise after the break-up is that neither company will keep the "spark" logo adopted by Kraft Foods in 2009. Instead, Kraft Foods Group, Inc., has chosen to embrace its heritage by adopting a modified version of its classic shield as corporate logo. The most noticeable difference is that the name isn't set in all caps. The resulting typographical treatment doesn't sit too comfortably inside the red frame. Other aspects of Kraft Foods visual communication are also touting heritage, with a friendly slab serif stencil typeface being used in ads and on the website. Some brands in Kraft's North American portfolio are Jell-O, Planters, Miracle Whip, Oscar Mayer, Maxwell House, Philadelphia and Velveeta. The insurance group AIG, or American International Group, was one of the companies that gained worldwide attention during the 2008 financial crisis when the Federal Reserve had to step in to ensure its liquidity. After that, the AIG name had been extensively dragged through the mud and some of the restructured AIG properties were rebranded as Chartis. Recently, however, management apparently decided that the AIG name was rehabilitated and have made moves back to that name. Yesterday, October 2, a new AIG logo was unveiled. The new logo features a lighter shade of blue and a sans serif typeface that is more up to today's standards. It will apparently be rolled out later in the fall as it replaces brands such as Chartis and SunAmerica. Asian Paints is an Indian chemical company that manufactures, well, paint. Last week, on September 27, it revealed a new logo, that apparently represents "a more meaningful and personalized engagement with the increasing number of interior décor consumers in the home, retail and commercial segments across India". It will be rolled out to thousands of stores over time. The wordmark from the previous logo is kept intact, but has been re-coloured and is accompanied by a gradienty ribbon. Until recently, Groupama Seguros was the Spanish subsidiary of French insurance group Groupama. Earlier this year, it was acquired by Spanish insurer Catalana Occidente. Yesterday, October 1, Groupama Seguros changed its name to Plus Ultra Seguros as a result of the ownership change. Plus Ultra is an historic brand that has been dormant for some years. The company says it has a history dating back to 1887. The triangle in the new logo is inspired by triangle logos used by PlusUltra in the past. A press release says the new brand looks "modern and powerful from a visual standpoint", while also containing clear references to history. Jebel Ali International Hotels operates several luxury hotels in Dubai. Yesterday, October 1, it changed its named to "JA Resorts & Hotels". The new corporate identity was developed by Interbrand. MindTree is an Indian information technology company with offices around Asia, Europe and the United States. Last week, on September 28, it unveiled a new corporate identity, created by Siegel+Gale, as part of an effort to transform and grow the company. Back in July, the Spanish auto maker Seat released some of images of the latest version of its Seat Léon model that clearly featured an updated Seat logo at the front. A few days later, a flat version also appeared on several motor blogs. Yet, there was no confirmation from Seat. Last week, on September 27 on the Paris Motor Show, Seat "unveiled its new logo to the world", apparently ignoring the premature roll-out from a few months ago. The S badge has been straightened up and made sleeker, while remaining true to its heritage. It was said to reflect the brand's values, "clean, pure design and precise, quality engineering".